1. What Type Of Loan Is Best For Me? Your loan officer can discuss the various loan programs available to help you refinance. Some borrowers will benefit greatly from adjustable rate mortgages while others prefer fixed rate. However, other borrowers may find a fixed rate is the best option. Discuss various loan terms such as 30-year or 20-year mortgage loans. 2. What Documents Are Required? Be prepared to provide your loan officer with several documents. The most common documents include pay stubs, bank statements and tax returns. Loan officers will also need a complete list of debts including auto payments, credit card payments and student loans. 3. What Costs Are Involved? Prior to a loan closing you will be required to pay some costs up front. These may include appraisal fees, credit report fees and application fees. Discuss all these costs with the loan officer to determine how much money will be required prior to the loan being approved. In addition, discuss any funds that will be required to complete the loan closing. 4. Can I Select My Own Appraiser? When you apply for a refinance loan, lenders will require a property appraisal. 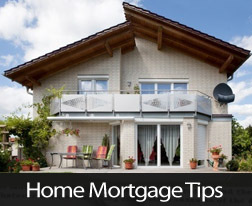 Lenders typically maintain a list of approved appraisers and supply those lists to the loan officers. Typically, the loan officer will assign an appraiser to review the property. Borrowers generally have no input regarding the choice of appraisers. 5. When Will I Get A Good Faith Estimate? Good Faith Estimates must be issued after you have completed your loan application. A second GFE is typically presented along with the HUD1 prior to closing. Keep in mind, the GFE is only an estimate of costs and that actual costs may be slightly higher or lower. Never hesitate to ask your loan officer any questions you may have. The more questions you have addressed during the application process, the less likely you will be to be confused at the time of your mortgage closing. Keep in mind, your loan officer is there to answer your questions and guide you through the entire loan process. For additional questions you should ask, check out tomorrow's blog post.